Please call us to order this item. 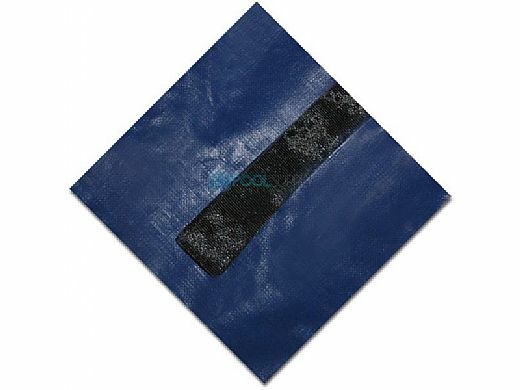 Need to keep your cover in place? 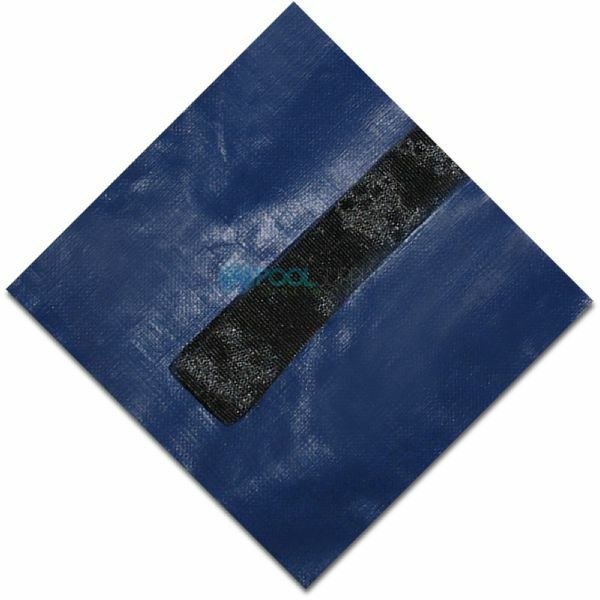 Click here to find great deals on cover clips and other high quality winterizing accessories! 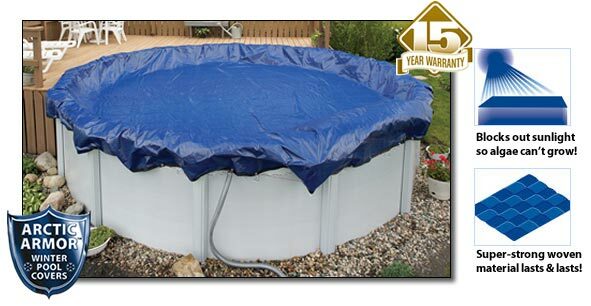 The Gold winter cover is made of Arctic Armor's strongest, durable material, providing the most reliable protection for your above ground pool against bad weather in the industry today. The cover’s usefulness extends to ways many people don't even realize. While most pool owners' main motivation for using a winter cover is to keep debris from getting into the pool, another major issue for the water itself during the off-season is algae growth. Still water (stagnant because your pump is turned off) in direct sunlight is the perfect breeding ground for algae. But all Arctic Armor covers are UV-protected, so they keep sunlight from penetrating to the water, which prevents algae from developing. 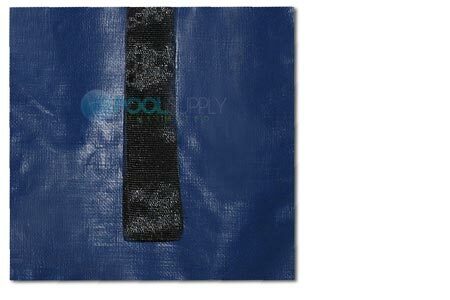 The seams are also heat-sealed, ensuring a consistent cover surface that holds up over time and a pool just as sparkling and clear as when you close it for the season. This saves both time and trouble, since cleanup is simplified and your pool water requires much less preparation once the swim season arrives. 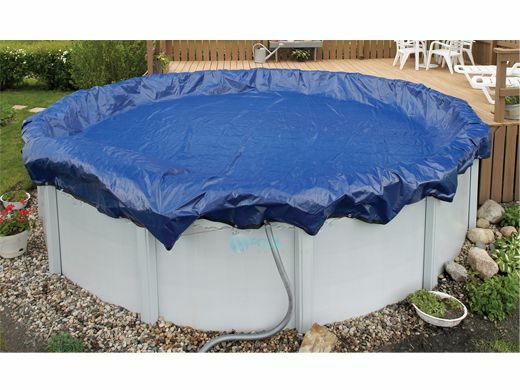 The key to Arctic Armor's winter covers staying firmly attached to above ground pools is a vinyl-coated cable that encircles the cover through a series of built-in metal grommets. No matter the weather or surrounding environment, the pool stays clean and healthy throughout the off-season. The cover's four feet of fabric overlap (standard for all Arctic Armor above ground models) on each side ensures an excellent deck connection and greatly reduces stress on the fabric, another innovation that makes Arctic Armor the industry standard in winter covers. The Gold model comes with a 15-year warranty. There are eight-year (Bronze) and 12-year (Silver) models also available. Each product line has a wealth of size options (plenty of choices for both the round and oval varieties, all listed to the right under Other Purchase Options), meaning we truly have you covered no matter the size or shape of your above ground pool.